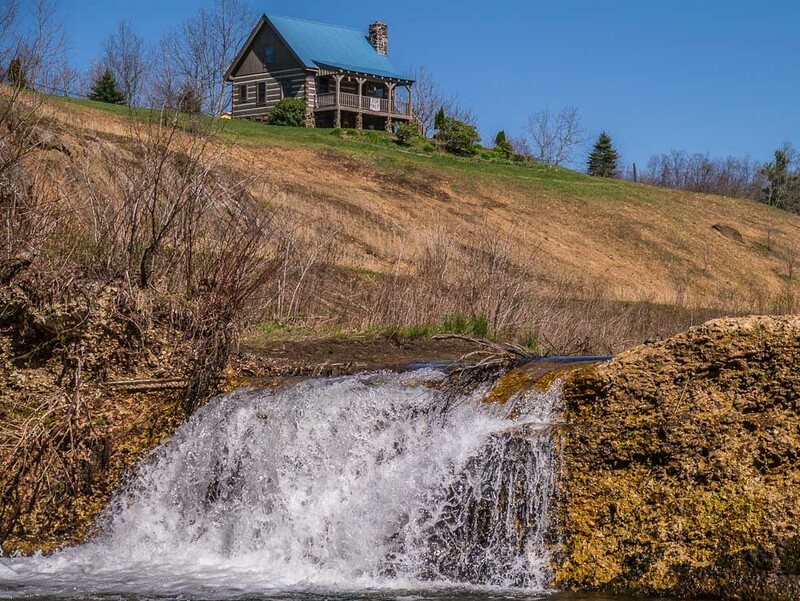 This log cabin style small house is for sale…and it sits on a hill beside a small stream with a nice waterfall. A wonderfully scenic location…or so you might think. In fact, this scene is directly behind a large tourist facility. The small stream is the headwaters of the Dan River, which winds its way down the mountains toward Danville, Virginia and points south and east. Once there was an operating carousel located near where I was standing when I made this photo; also a small hotel, and several gift shops. Most are now closed. I suspect that’s why the house on the hill is for sale. No matter…my camera made it look perfect to me.